The class spent the month of September reviewing literacy concepts and skills, completing CASI reading assessments and writing "recounts." 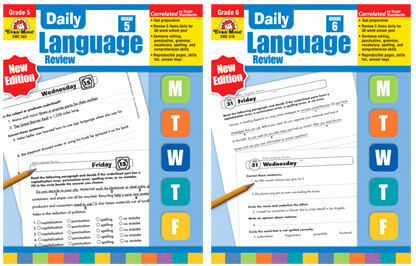 Next week, Guided Reading will begin and students will start working more independently on literacy skills. 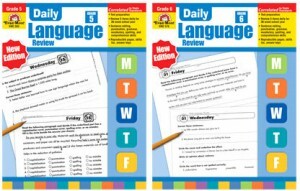 Daily Language Review "bell work" provides grammar, punctuation, word usage and sentence editing practice. 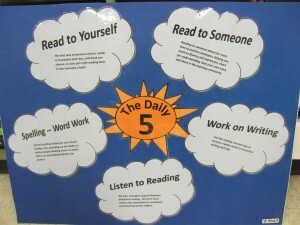 Daily Five "is a structure that helps students develop the daily habits of reading, writing, and working independently that will lead to a lifetime of literacy independence." 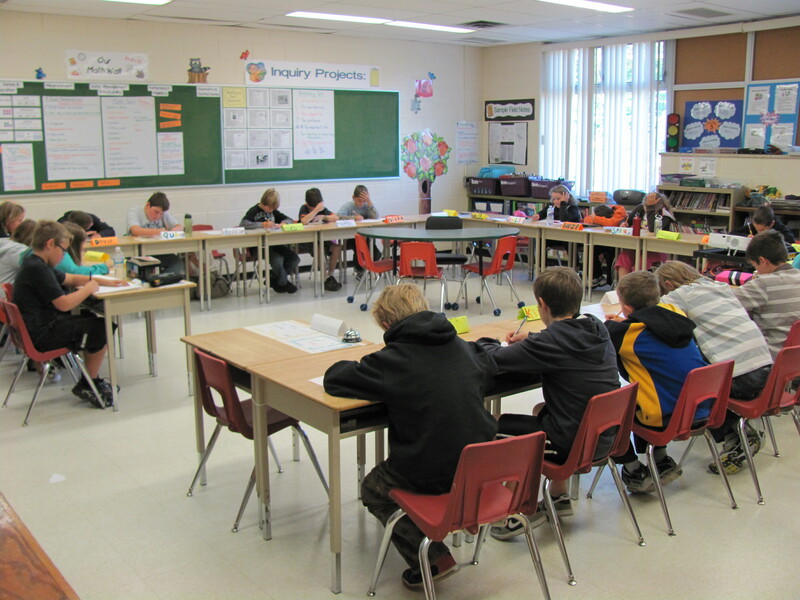 Students engage in three twenty-minute activity rotations, within a morning literacy block, and are provided with choice regarding the order in which they complete various tasks. 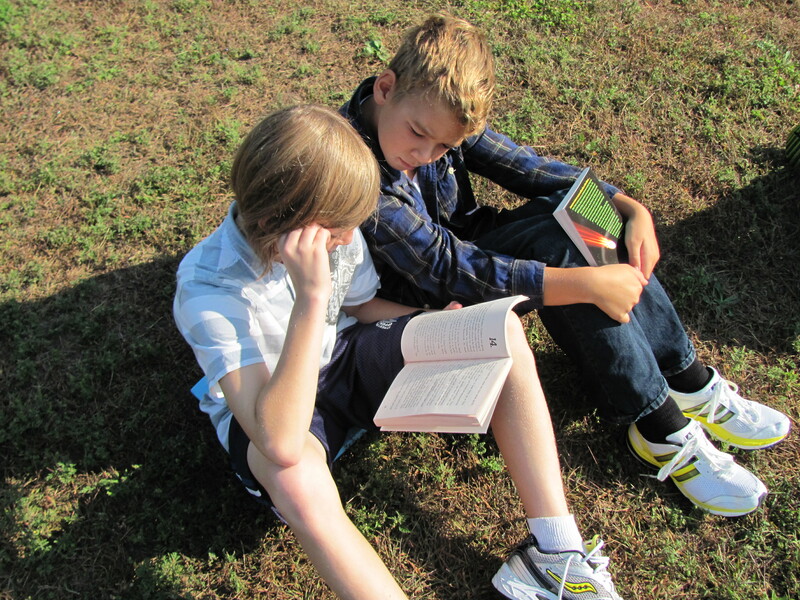 Read to Someone: Reading to someone provides more time to practice strategies, helping students work on fluency and expression, check for understanding, hear their own voice, and share in the learning community. Spelling - Word Work: Correct spelling allows for more fluent writing, thus speeding up the ability to write and get thinking down on paper. This is an essential foundation for writers. 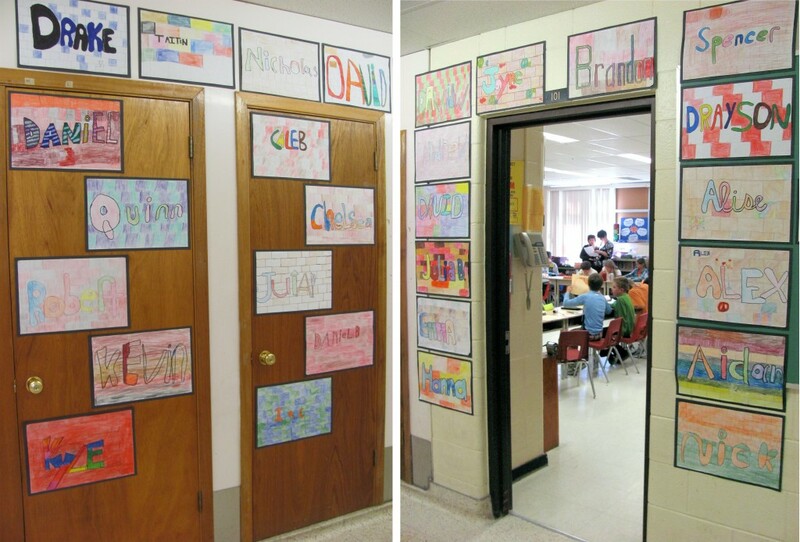 Every two weeks, students are provided with five words to explore (e.g. homonyms or words from our Science and Social Studies curriculum) and choose five other words from their personal reading and writing. 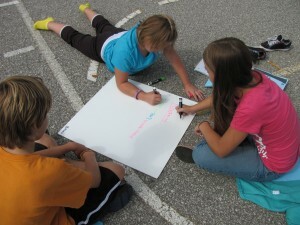 Work on Writing: Just like reading, the best way for students to become better writers is to practice writing each day. 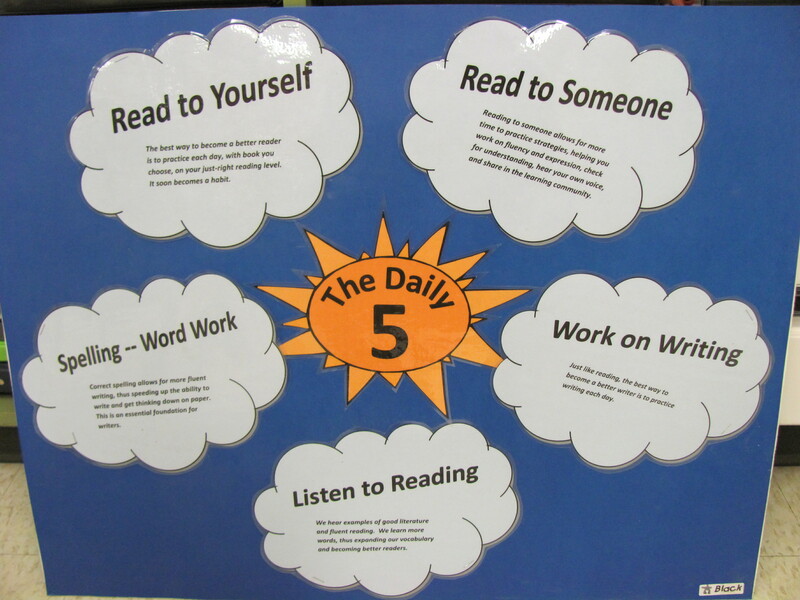 During Daily Five, students have an opportunity to work on "Writer's Workshop" assignments, Nelson Literacy reading reflections or journal entries. Listen to Reading: When students hear examples of good literature and fluent reading, they learn more words, thus expanding their vocabulary and becoming better readers. In our classroom, "listen to reading" involves the teacher or a student reading a section of a chapter book aloud to the class. 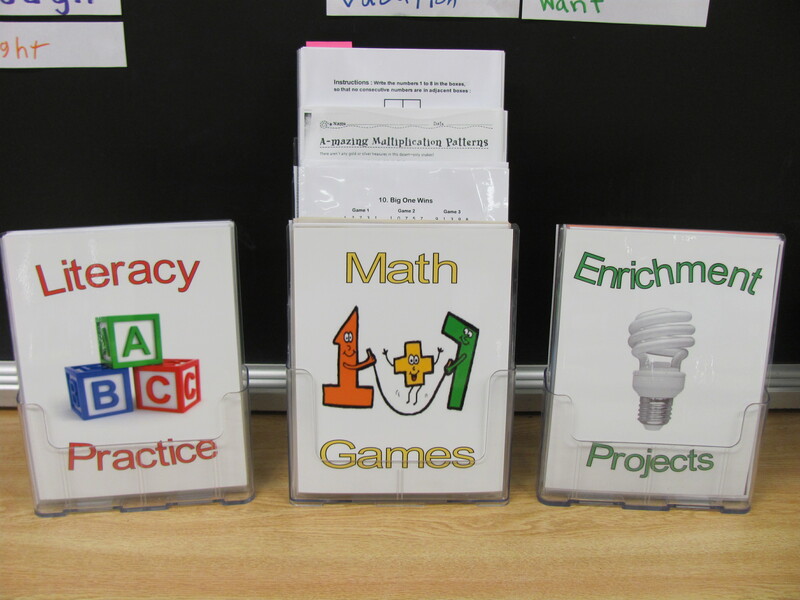 Each student in our class receives regular Guided Reading instruction, in a small group setting. 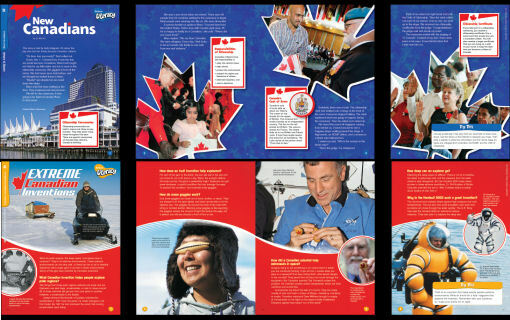 Our Guided Reading resource is the Nelson Literacy Kit, which includes reading folders that connect to Science, Social Studies, Health and Character Education. 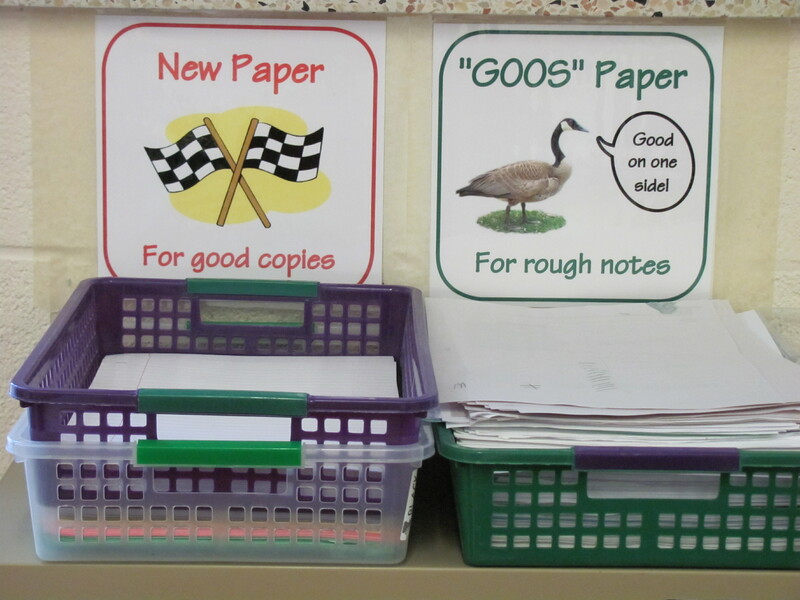 Pictured above are samples of Grade 5 (top) and Grade 6 (bottom) Guided Reading folders. 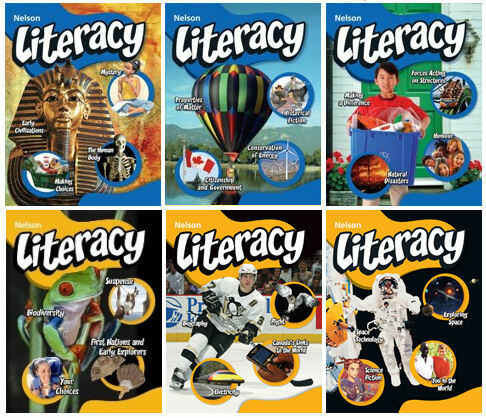 We also utilize Nelson Literacy student books, which contain Shared and Independent Reading selections and reading reflection prompts. 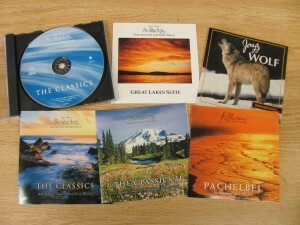 We use these books to enrich our studies of various subjects. 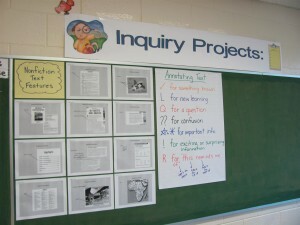 The Grade 5 books are shown on the top row and the Grade 6 books on the bottom. 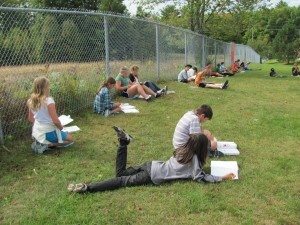 Writer's Workshop includes the study and practice of various forms of writing. 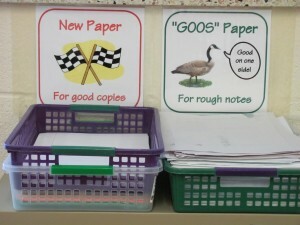 These include: narratives, recounts, procedures, discussions, explanations, reports, and persuasive letters. 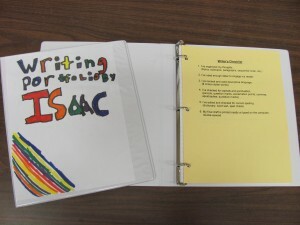 Proofreading and editing of a student's own work, providing feedback on classmates' writng and goal setting toward becoming better writers are also focal points within our writing program. This year, students at our school are creating writing portfolios in binders provided by the school board for this purpose. Oral and Media Literacy comprise the the other two strands in our balanced literacy program. 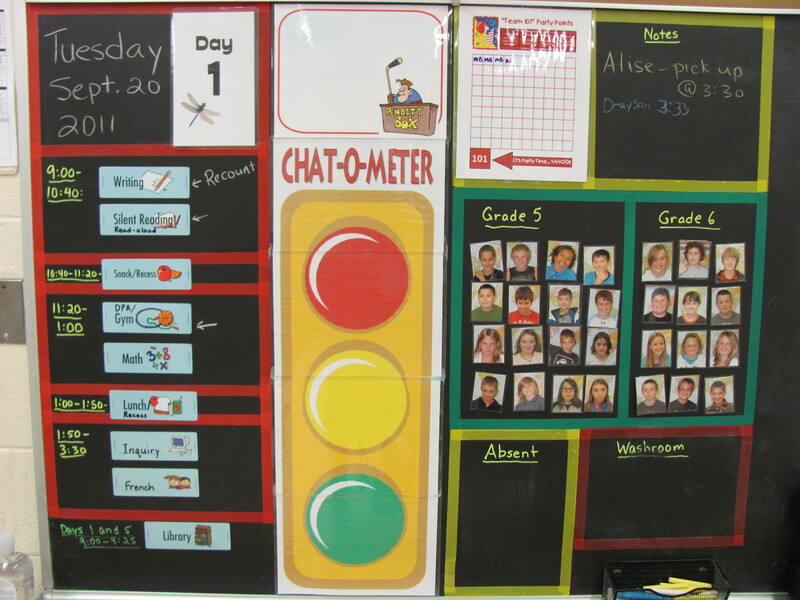 In future BLOG posts, student-reporters will provide updates about our learning in these, and other, subject areas. 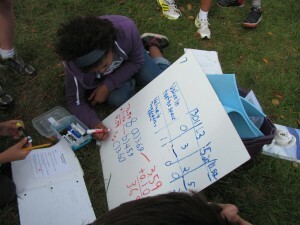 My next BLOG post will feature the elements of our Numeracy (Math) program. If you have any questions or comments, feel free to e-mail me: mblack@mail1.scdsb.on.ca or to add a comment to this page. 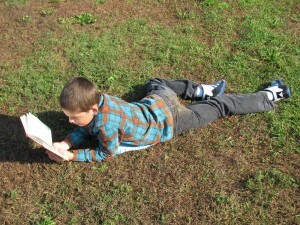 Author Margaret BlackPublished on September 23, 2011 October 16, 2011 2 Comments on Open House! 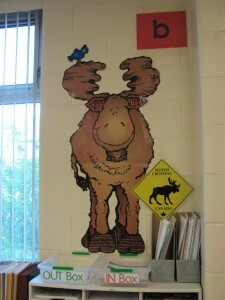 This is the "graffiti art" we created to welcome parents to our classroom. This year, we are using a round-table-type seating arrangement. 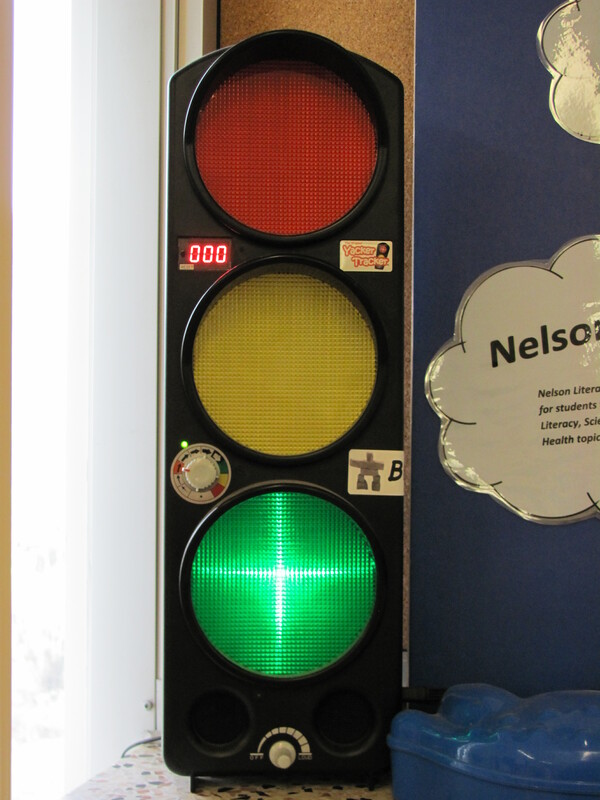 This facilitates class discussions, and allows me to circulate easily, during pair and independent work periods. 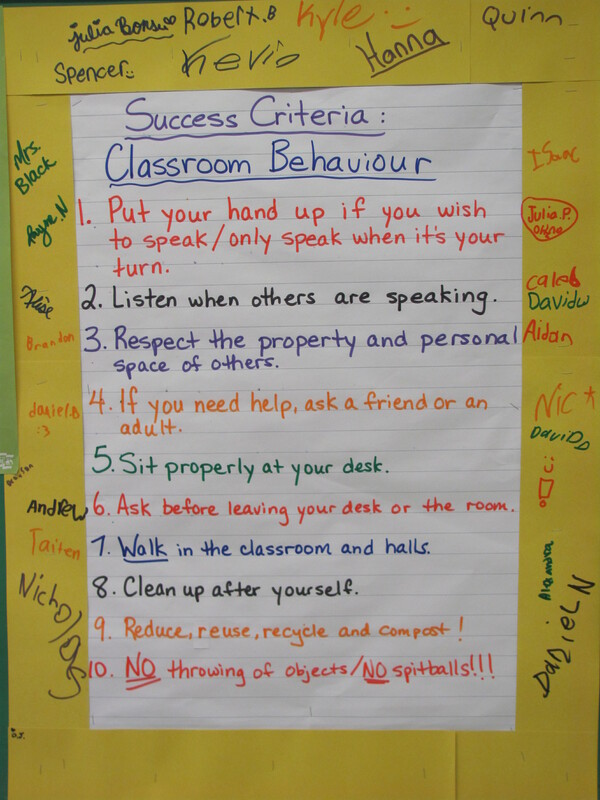 "Success Criteria for Classroom Behaviour" were developed by the students. Each has indicated his/her agreement to follow these rules by signing the yellow border. This is "Mission Control." 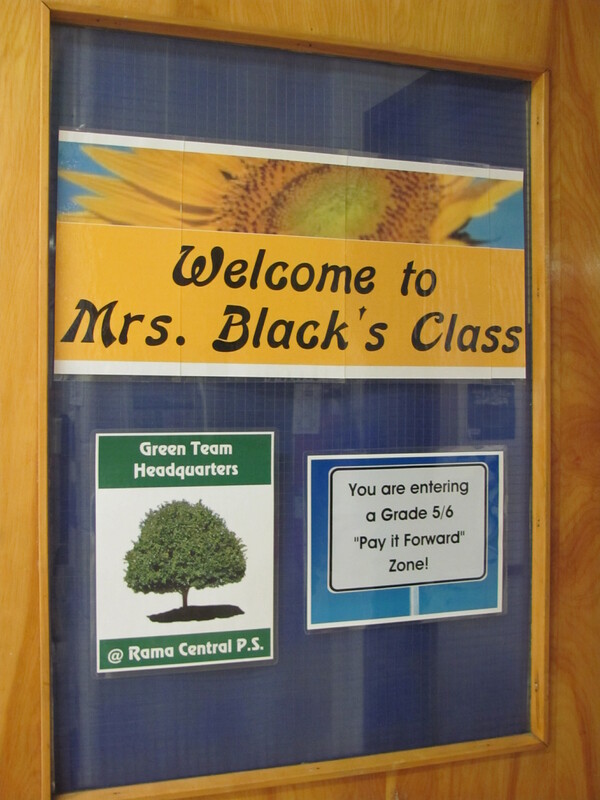 It is the place in our classroom where we post our daily schedule (left) and information about absences and special pick-up arrangements, etc. 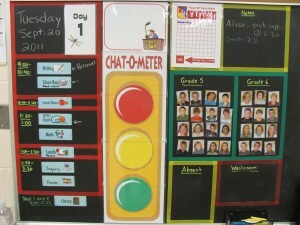 This area also includes a place for monitoring individual students who are having difficulty adhering to classroom rules (the stoplight and "penalty box"), and a tracking sheet for recording points the class has earned toward a good behaviour reward (the white sheet with the grid and arrow). Quiet work in the classroom is encouraged via instrumental music CDs, with sounds of nature. The "Yacker Tracker" is a meter that monitors the ambient noise level in the classroom. It sounds an alarm when the class is being too loud. The noise threshold can be adjusted to accommodate different work formats (e.g. silent or partner work). 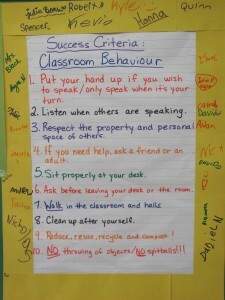 This chart is a classroom responsibility sign up sheet. Jobs are rotated weekly. 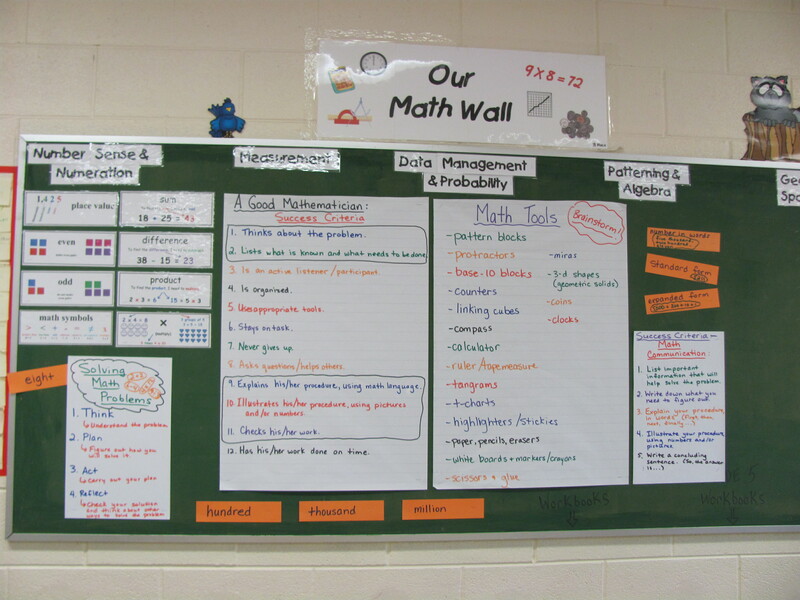 This is the start of our math wall. 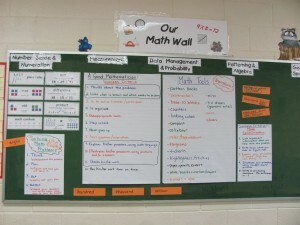 The ideas on the chart paper were developed collaboratively, between the students and myself. This is the start of our word wall. Students proofread each others' Summer Vacation Recounts and identified incorrectly-spelled words. 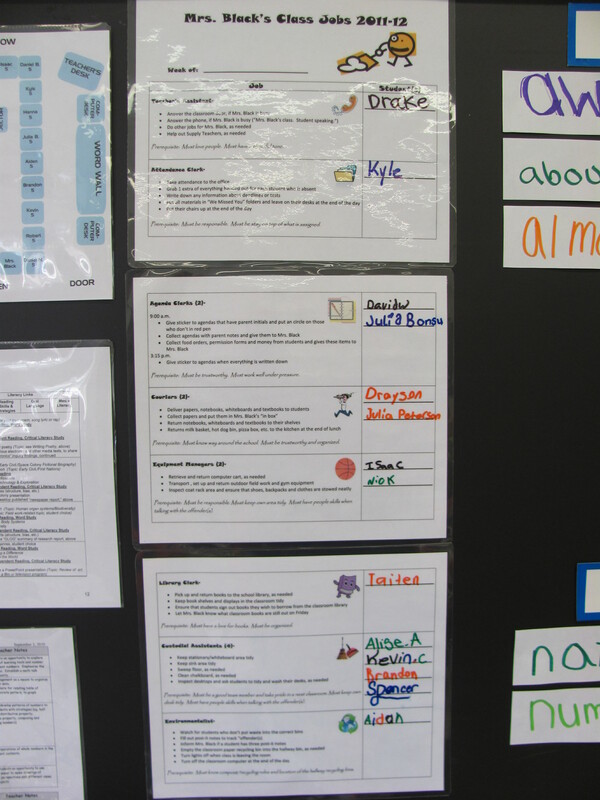 Then the authors used dictionaries to look up correct spellings and created word cards for the wall. 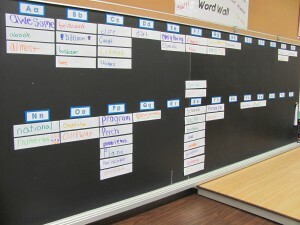 In addition to commonly misspelled words, our wall will also include difficult words from particular curriculum areas. 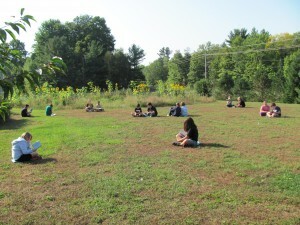 Math Groups and Guided Reading Groups are listed above/on "The Old Oak Tree." 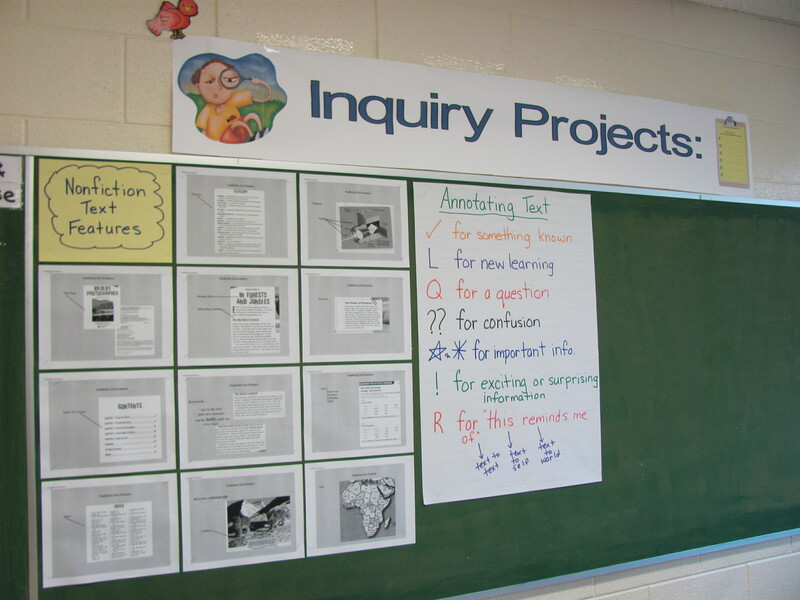 This year, we are fulfilling some of the curriculum requirements in Science, Social Studies and Health via student-centred inquiry projects. During September, students are learning how to frame research questions, and are being reminded about the features of non-fiction texts and how to extract valuable information from non-fiction resources. Mr. Moose towers over my "in box" and "out box." 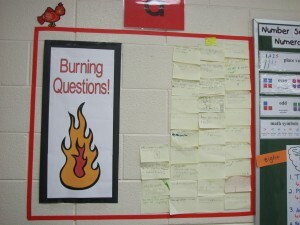 The "burning questions" area is the place where we post questions about anything at all, that no one in the class can answer. 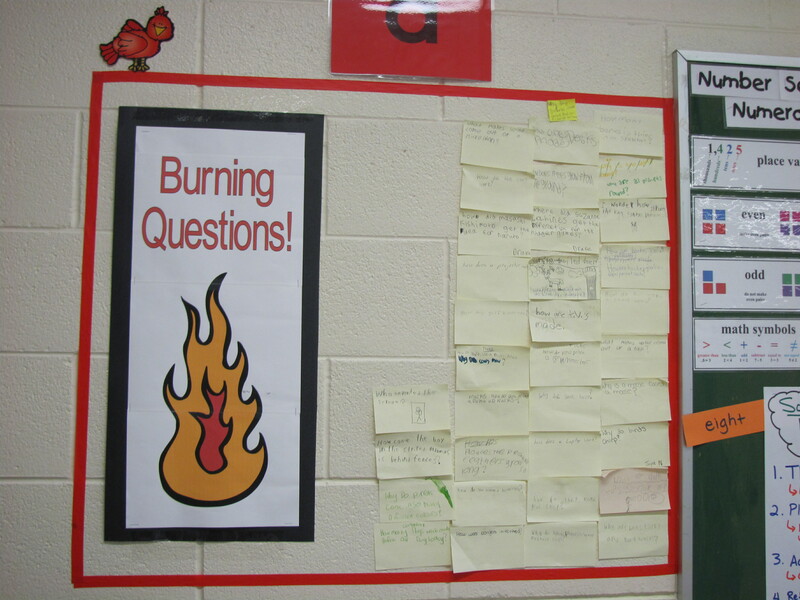 When students finish work early, they are encouraged to choose a question from the wall, research the answer, and report back to the class. Other enrichment opportunities include literacy practice sheets, math games, critical thinking exercises, webquests, independent research and work on this BLOG. "The parking lot" is where students respond to requests for ideas or opinions. 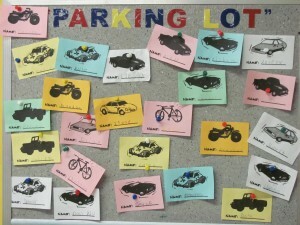 Each student is given a car. His/her name goes on the front, and the requested information on the back. 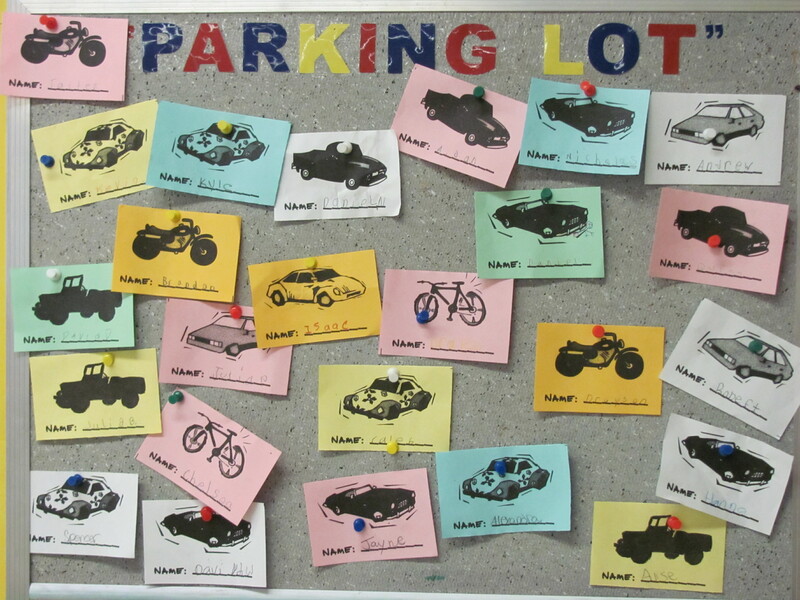 Then, each student gets to "park" his/her car in the lot. 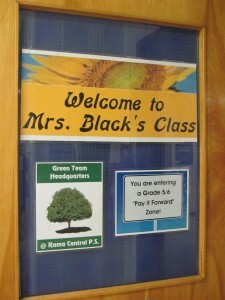 We also incorporate nature and the outdoors into our Science, Language, Math, Gym and Daily Physical Activity programs. 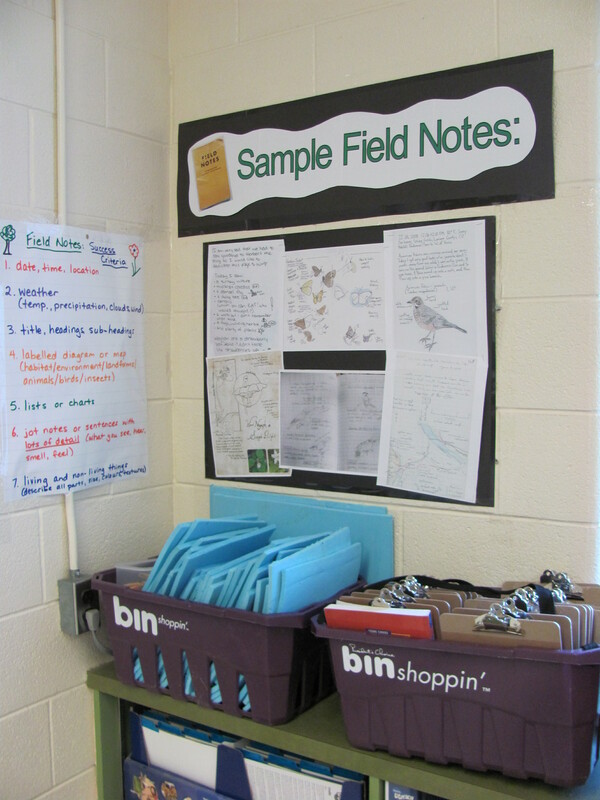 Pictured, on the left, is a checklist of "Success Criteria for Field Notes" that the class developed by examining the field note examples on the poster. Below the poster are the foam pads and clipboards that we take with us when we work outside. This is a morning literacy period, on the front lawn of the school. The class is engaged in reading. Spreading out and being able to choose one's position to work (e.g. sitting or laying down) seems to really help with focus. 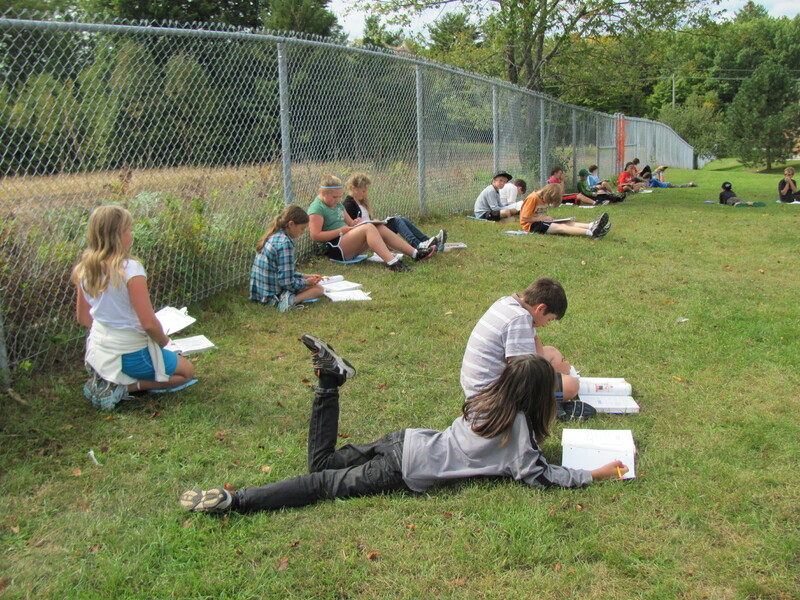 In the picture above, the class is working on math problems, from their textbooks, in the school's backyard. Grade 5 students show their solutions to the math problems, on a large, portable whiteboard, while their "grade-mates" look on and provide feedback. Grade 6 students do the same. 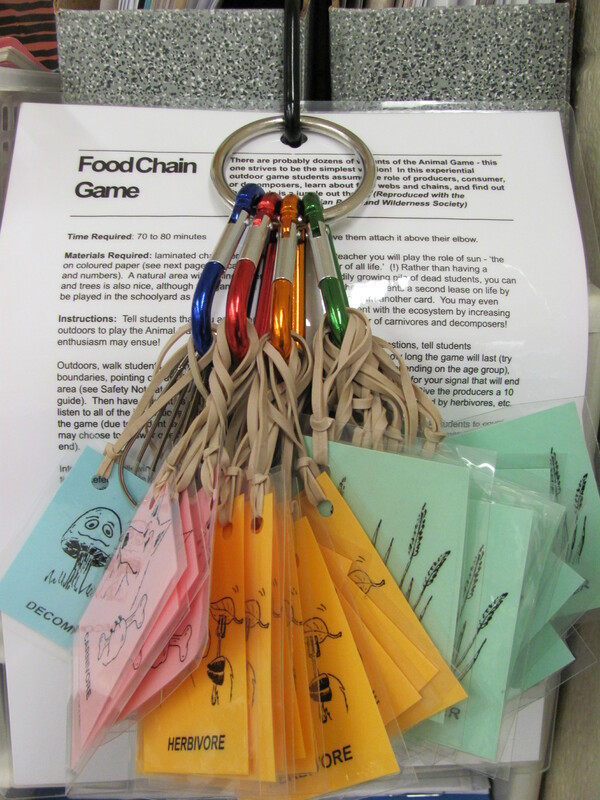 “The Food Chain Game” is the class' favourite outdoor Daily Physical Activity. This nature-based game teaches students about the relationship between producers, consumers and decomposers, while engaging them in a vigorous, strategic game of tag. Published on September 23, 2011 October 16, 2011 Categories Welcome2 Comments on Open House!